The Venice lights over Pacific and Windward Ave at night. Drawing inspiration from the film "A Touch of Evil," a noir thriller movie starring Orson Wells, Charleston Heston, and Janet Leigh. 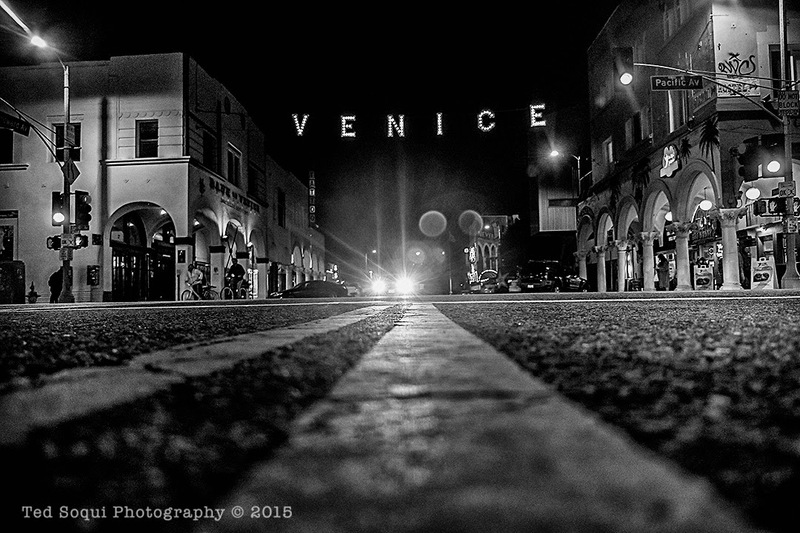 Much of the film was shot at night in the Venice area.